Fried food is traditionally eaten on Hanukkah in commemoration of the oil that miraculously burned for eight days when the Maccabees purified and rededicated the holy Temple in Jerusalem. 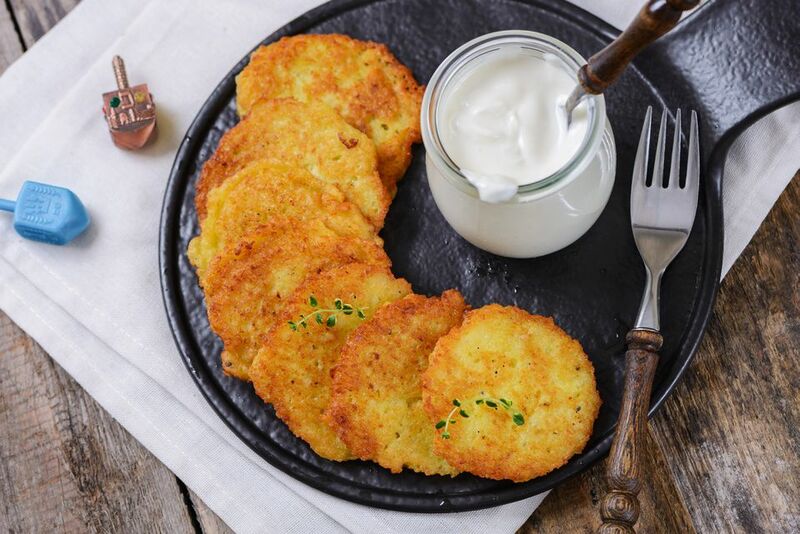 This recipe for classic potato latkes—also known as levivot in Hebrew—uses a food processor to simplify the prep. The resulting latkes have a smoother, more uniform texture than hand-grated latkes. Of course, if you don't have a food processor, you can go the old school route and use a box grater for the onions and potatoes. What kind of potatoes should you use? Many longtime latke makers swear by Russets, but when it comes down to it, both work—so use your favorite (or a mix! ).